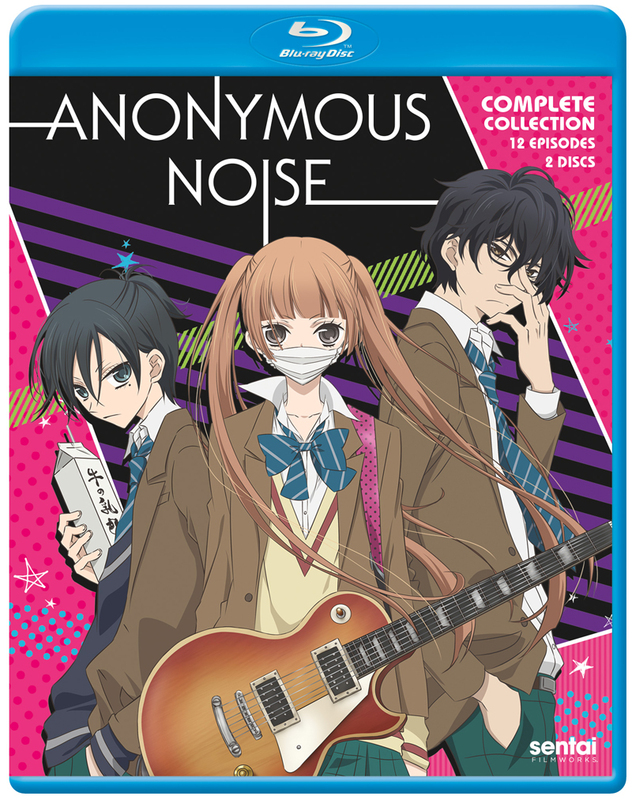 Anonymous Noise contains episodes 1-12 of the anime which was directed by Hideya Takahashi. Six years ago Momo taught Nino the joy of singing from her heart. When Momo's family moved away without warning, Nino found herself lost and adrift. Until she met Yuzu, who also had a musical gift that he shared with her until he was suddenly gone as well, leaving nothing but the memory of his music. Before they disappeared, both Momo and Yuzu said the same thing- that Nino should keep singing, because that was how they'd find her again. Special Features: Japanese Promos & Commercial, Drama CD's, Clean Opening Animation, and Clean Closing Animation. Watched this show last year and was really surprised with it. The show has a slightly awkward art style to it but I quickly adapted to it. The story is well done but the best thing about this show is honestly the music. If you are a fan of J-Rock you might really enjoy this. The music has such great power and emotion to it. I have only heard a few episodes of the dub ( I mainly watch sub) but from I can tell the voices are pretty well done. Only one voice kind of bothered me but not enough for me to stop watching the dub. If you like J-Rock, high school bands, love triangles, and drama you may really enjoy this one.